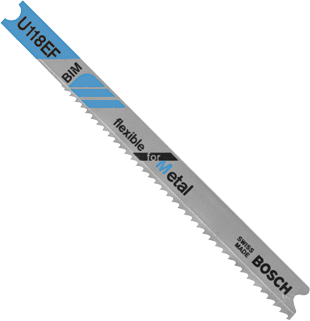 Flexible for metal blades have Bi-Metal construction for long life and greater flexibility. Designed for cutting sheet metal and thin metals (ferrous and non-ferrous). Ideal for straight or curved cuts. U-shank design.